Trying to think of an alternative to the ole bouquet of flowers? Heres a fun (and lasting) one. 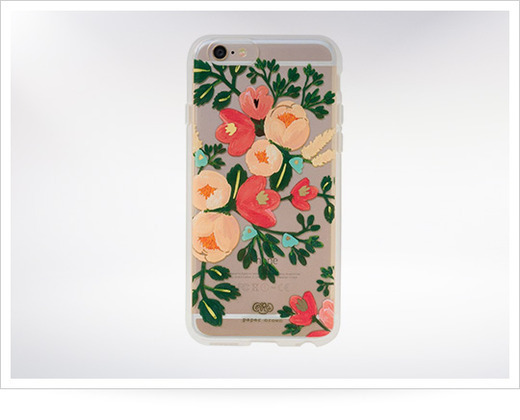 Rifle Paper Co. has carried its beautiful stationary art to the world of digital paper with this floral design iPhone 6 case.